This YouTube video (see below) is hysterical and reminds me of the English idiom: Barking up the wrong tree. Take a look and see if you can understand the meaning of the expression. The photo above should also give you a good hint. You’ll find the definition below. Does it is make sense now? The dog is barking at the statue because he wants him to throw the stick so he can play fetch. Obviously the statue is not human and cannot move. So the dog is asking for help from someone who cannot help him. 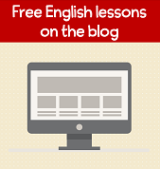 Barking up the wrong tree is an English idiomatic expression. We use the expression “barking up the wrong tree” as a metaphor to describe when someone is trying to achieve something but they're doing it in the wrong way (or they are trying to get something but they will not be successful). The picture above is also a good visual explanation of the expression. The dog is barking up one tree but the cat has escaped to another one. Definition: 1) doing something that will not get you the result you want; 2) to be wrong about the reason for something. I tried to get information from the receptionist about the director but she was just a temporary employee so I was barking up the wrong tree. My roommate has been flattering her professor to try to become a teaching assistant but she's barking up the wrong tree since the department chair makes those decisions. My brother keeps bugging my sister for money but he's barking up the wrong tree because she's broke. You're barking up the wrong tree if you think you'll get into Harvard with your grades. If you think your boss will put in a good word for you with the director you're barking up the wrong tree. I was definitely barking up the wrong tree when I asked my boyfriend to pick out a dress for my office party—he has horrible taste. My classmate barked up the wrong tree when he asked me to help him cheat on the exam. Not only did I not help him but I told the teacher what he was trying to do. 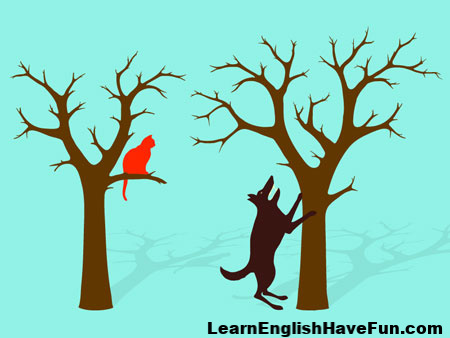 Your turn to use the idiom "barking up the wrong tree"
Your English will improve much faster with practice! So don't just sit there. Think of an example and flex your courage muscles by typing your example in the comment box below. I will provide feedback to make sure you use the idiom correctly.